A serial killer targets Team Arrow on the Monday, February 11 hour of the show. 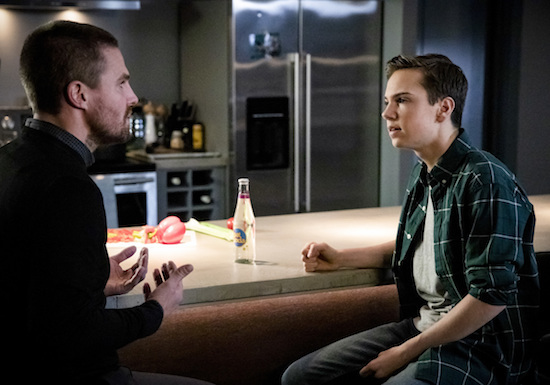 Arrow -- "Star City Slayer" -- Image Number: AR713a_0010b -- Pictured (L-R): Stephen Amell as Oliver Queen/Green Arrow and Jack Moore as William Clayton -- Photo: Jack Rowand/The CW -- ÃÂ© 2019 The CW Network, LLC. All Rights Reserved.